-- Actively participate in forum discussions, start new discussion topics and vote in site polls. -- Communicate privately with other DVC devotees. -- Post your own photos or view user submitted images. -- Use the calendar to share your vacation dates, organize events and enroll in other members' events. -- Eliminate many site banner ads!!! All this and much more is available to you absolutely free when you register for an account, so register today! If you have any problems with the registration process or your account login, please contact the DVCNews Support Team. August 31, 2018 will be the final day for the watersports operation at Disney's Contemporary Resort. This website is an unofficial publication regarding the Disney Vacation Club and is not affiliated in any way with Walt Disney World, The Walt Disney Company, the Disney Vacation Club, Disney Vacation Development, or any of their affiliates or subsidiaries. All Disney images © The Walt Disney Company. All information presented on this site is subject to change. Information presented on this site may not be reproduced without permission. I am sorry to see this operation at the Contemporary leave. We have rented a Boston Whaler, a smaller pontoon boat, a few times and really enjoy an hour on the lake. It was starting to be a tradition with us. I hope Disney finds another vendor to operate the marina at the Contemporary. As Denise mentioned in her post, we enjoyed renting a boat and floating around Bay Lake. On one trip, we rented a boat and got some closeup views of the Cascade Cabins at Copper Creek while they were under construction. On our last trip we floated by the old River Country water park to get some photos of the area in case Disney starts development of the River Country Resort. Sometimes it was a familiar sight from a different perspective, but there was always something to look at while on the lake. I wouldn't be a bit surprised to see Disney take over & offer the boat rentals like at other resorts. But I'm guessing the days of parasailing are gone. 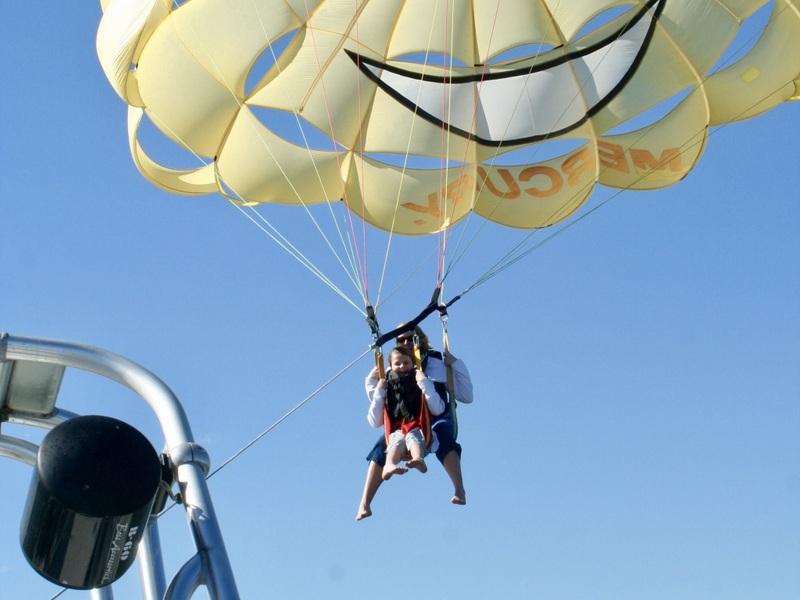 We had a family members, our nephew and his wife do the parasailing at the Contemporary Resort. They had a wonderful time. Everyone I have known that has done it love it. It was a nice thing to do on a resort day or resort vacation. Looks kinda fun. I've contemplated doing it many times. I’m sorry to hear that parasailing is gone. Years ago when the “Gold Key” included all entertainment, my family parasailed a few times. So much fun and unlike any other place, I always felt safe parasailing with Sammy Duvalls’ professionals. Based on reports on DVC Info it appears that only the parasailing and jet skis are part of the Sammy Duvall contract. Sammy Duvall removed the jet skis and their dock on Thursday or Friday last week. The Sammy Duvall window is closed at the Contemporary Resort, but the CR Marina window is still open renting out the Sea Racers and pontoon boats. If it was a real boating experience, ungoverned jet skis and boats allowed to go faster than 7.5. I think with this ending and with MBBBQ ending around the same time. I think signs point to this being project 89 related. If you look on the leaked plans for the rumored dvc there is a label marked as Boathouse (looks like a really nice area by the dock). As well, there is a separate dock for watersport type boats. I suspect Disney is bringing watersports back in house and and/or coupling watersport expenses with this future DVC. Do others feel this is related? Feedback Buttons provided by Advanced Post Thanks / Like v3.5.0 (Lite) - vBulletin Mods & Addons Copyright © 2019 DragonByte Technologies Ltd.